Scott has been working on manufactured homes since he was old enough to walk standing straight up underneath them. 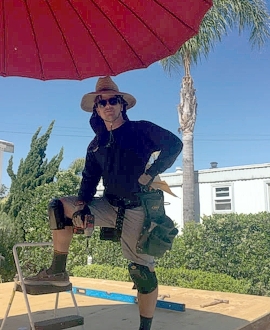 Equal parts creative craftsman and a man in the trenches, his comfort zone has always been strapping on a tool belt. He’s designed and built the two-story hybrid (part manufactured and part site built home) that he and his family live in.